Voted #1 haunted house in America by Haunted Attraction Magazine! Three award winning haunted houses await you in one location on the Waukesha County Expo Center Grounds. Selected as America’s number 1 “Must See” Haunted Houses. The Wisconsin Fear Grounds is a Wisconsin Halloween Tradition. Returning in 2018 is the deepest and darkest lower level of Morgana’s Manor…Torment. The lifeless bodies of those who came before you litter the area in body and spirit. Their faint whispers will fill your mind as loudly as screams in the night as you attempt to navigate through the tormented halls. Before you’re done, you’ll understand the suffering of those that perished attempting to survive Torment. 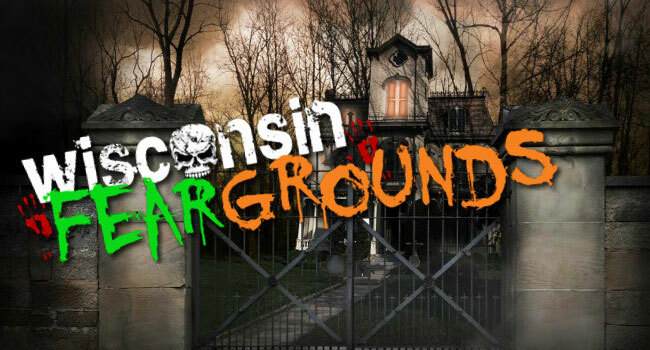 How was your experience at Wisconsin Fear Grounds? This haunted house rocks! The actors are amazing – they really interact with you and that makes it fun – every room has something to watch out for! You never know what to expect around the next corner! Whoever thought up some of the new rooms this year needs some SERIOUS therapy! This haunted house is nationally rated, it’s amazing! So excited for all the new stuff this year! I can’t wait to visit these haunted grounds, as we have made it a tradition. This looks to have pretty frightful new stuff with Unstable and an Escape room. This ought to be an interesting adult night!